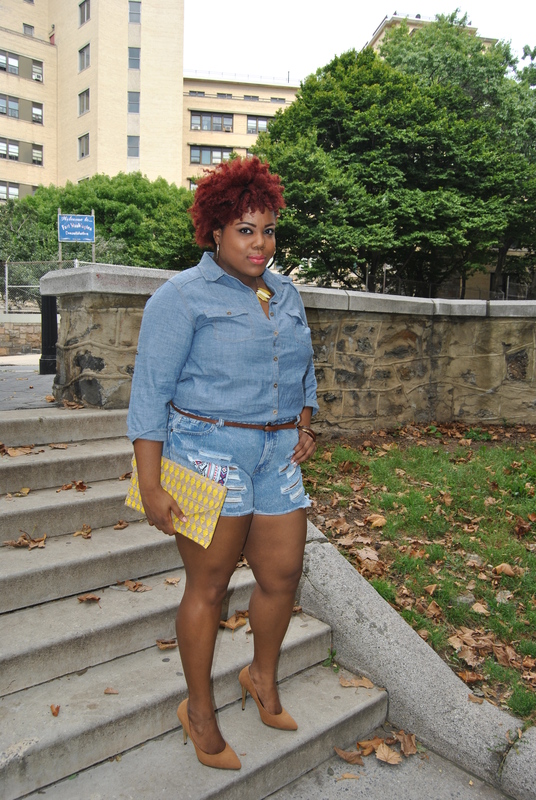 Denim has been one of Summer’s biggest trends, but rocking Double Denim can be tricky. The trend first became popular in 70s and is now back and more stylish than ever! 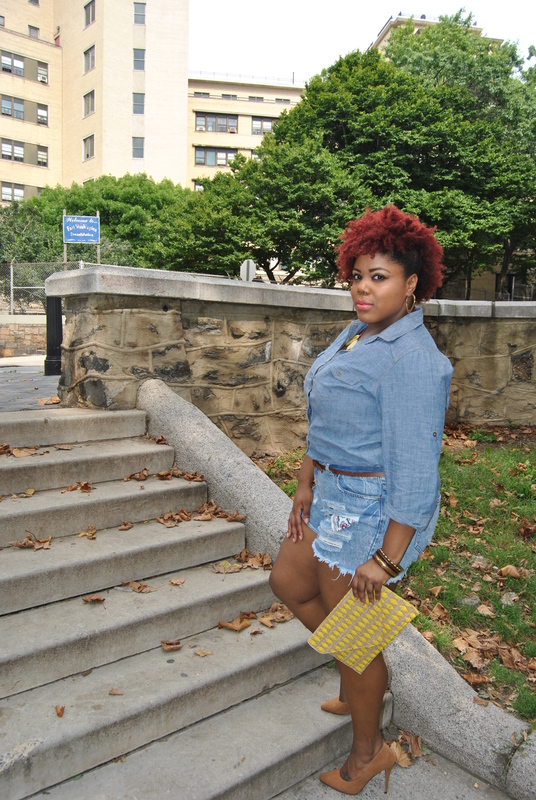 From morning into night, denim can be bought in a variety of colors, styles and items. It can be mixed into a variety of looks, from chic to casual and even gorgeous glam. 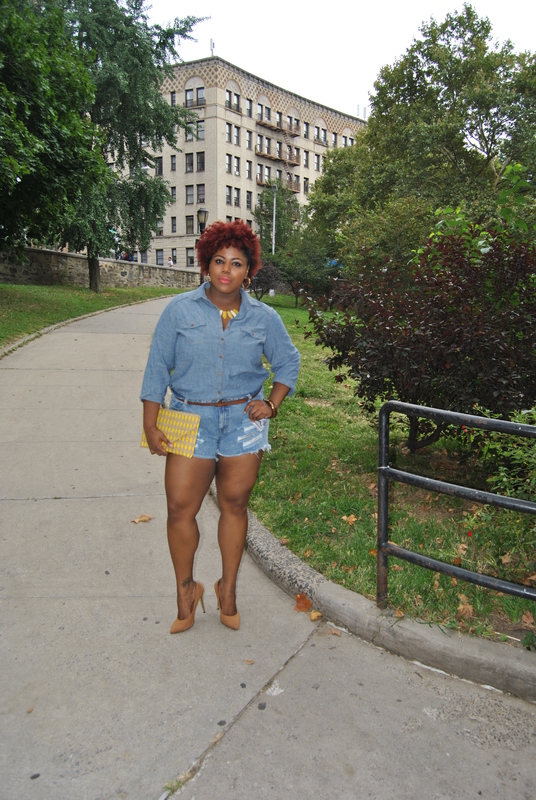 For this look I paired a light wash ripped pair of shorts with a light wash sleeved shirt. 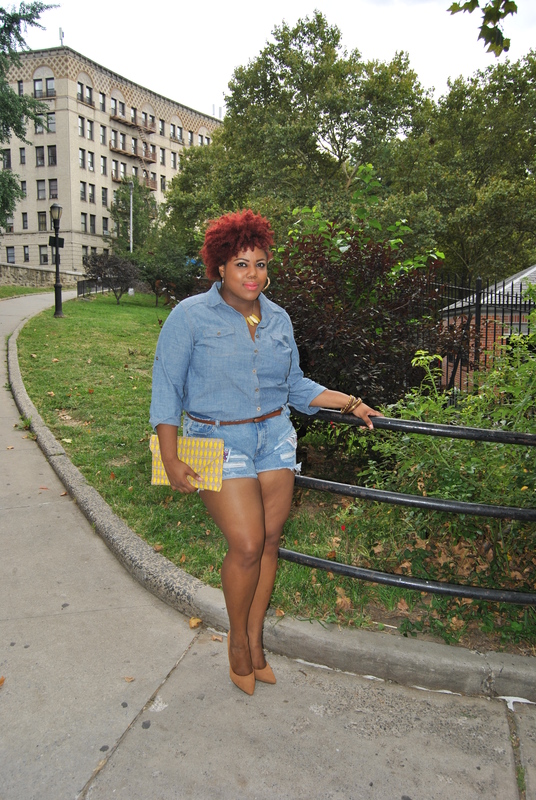 When doing all denim I recommend mixing your washes or you textures. 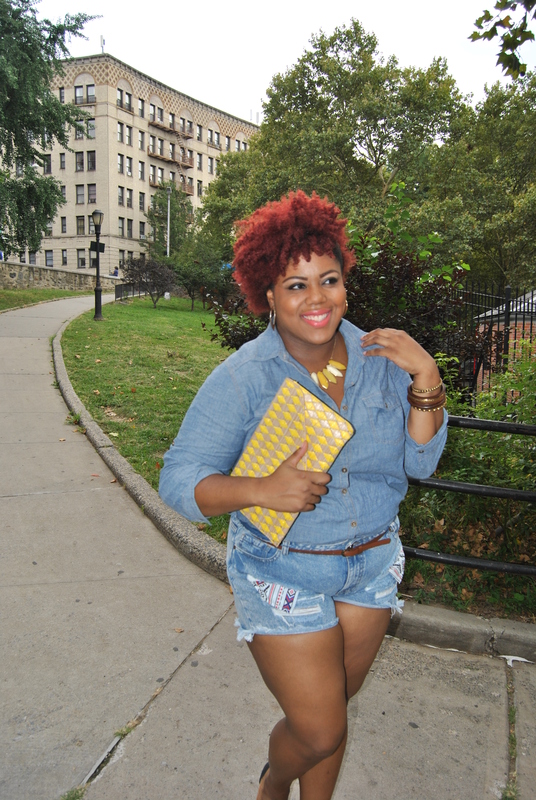 I styled this look with the same wash, but the textures were completely different. The shirt was more of a cotton denim and the shorts were more of a ripped rough fabric, which complimented each other well. 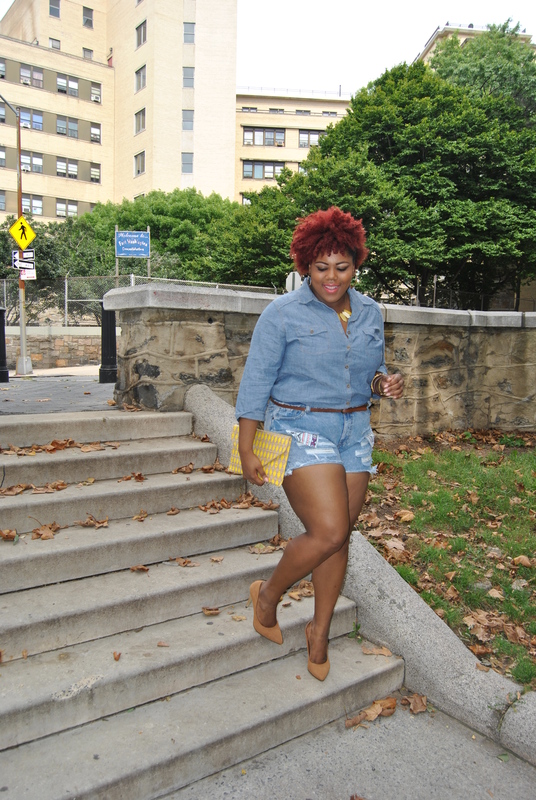 To soften my look I paired the denim with a camel pump and belt to match which added a nice contrast. When accessorizing, its all about the details! 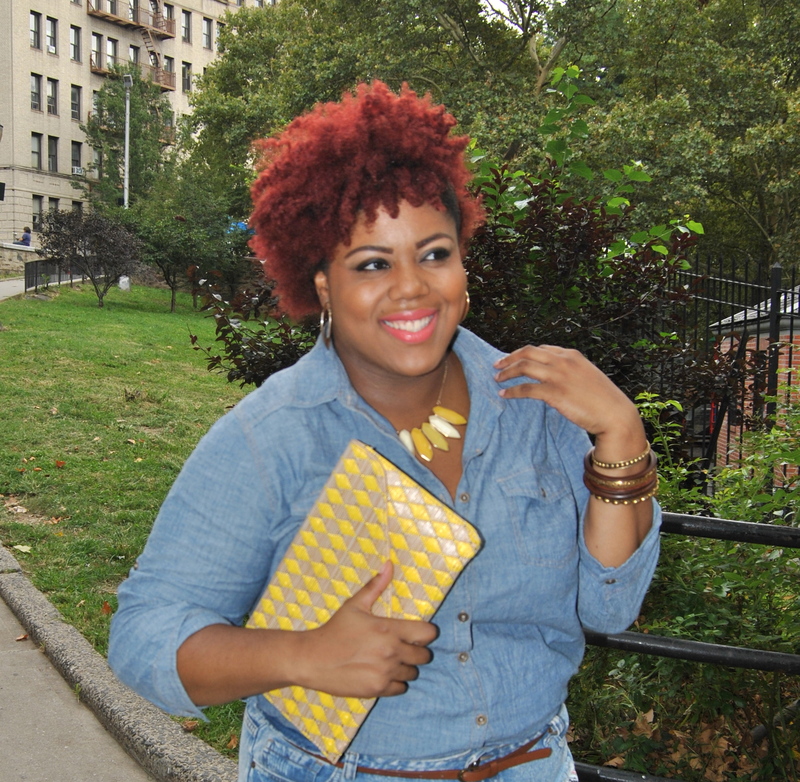 I finished it off with a sweet pop of color by wearing a tan and yellow clutch and matching necklace. 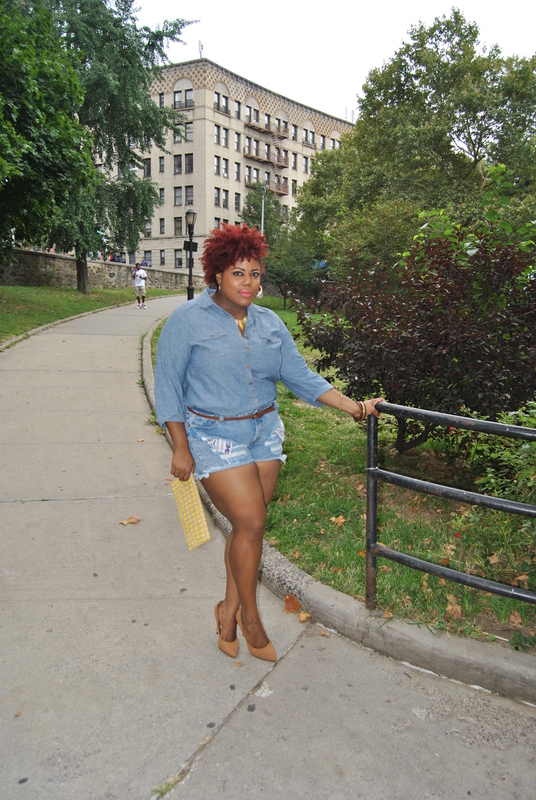 Don’t be afraid to try this fun double denim trend.